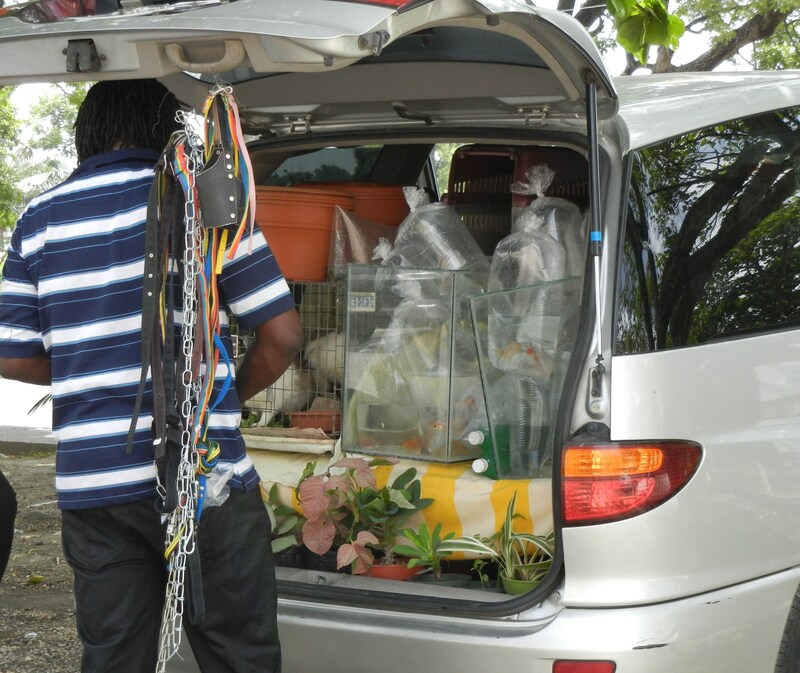 Ocho Rios, Jamaica…a man selling fish, rabbits, and pet supplies out of his mini van. Wicked! This entry was posted in Culture, Ocho Rios and tagged fish, Jamaica, Pet Shop, rabbit. dog collars. Bookmark the permalink.